Why should you choose Air Commander 1? With over 10 years of experience in the DFW metroplex for air conditioner repair, cooling services and installation, we are able to offer Same Day Service, and Upfront Pricing with a 100% Work Guarantee. What is the optimal efficiency and most cost-effective way to stay cool in Garland and the DFW’s hot summers? Keep your system running at full capacity with regular maintenance and system servicing. Older Air Conditioners FAIL when they are working their hardest which is likely when you need it most. If you’re in DFW metroplex and need air conditioner repair work for a single AC unit or cooling system service and maintenance for an entire office building, our highly trained and experienced cooling contractors will provide the speedy, high-quality service you can depend on. Our 10+ Years of experience in the DFW metroplex has allowed us to build up relationships with trusted manufacturers that enables us to offer YOU unbeatable prices on all parts and labor. 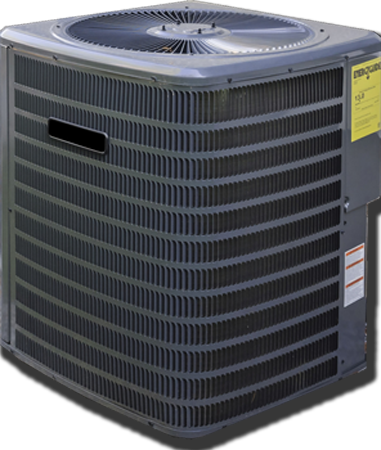 Why Choose Air Commander 1 for your air conditioner repair, cooling services, or installation? Whether you’re looking for repair or maintenance services for your air condition or cooling system, count on us for prompt, affordable and honest service. Apartment Owners Welcome! Call to find out what we can do for you. Call today for prompt, affordable and eco-friendly service: (972) 365-9819. Summer in the DFW is incredibly sweltering, so why not make the heat and humidity a little more tolerable? By having an air conditioner installation or replacement, you can beat the heat and escape to the cool comfort of your home or office. Anyone in Texas knows to expect a heat wave in June through August, but surprisingly many people still aren’t prepared to really keep cool in extreme temperatures. 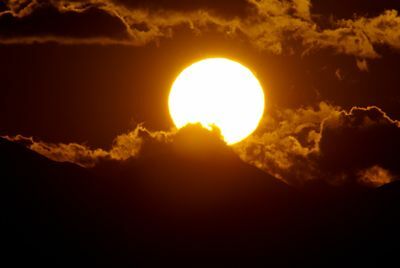 Don’t suffer and wilt in the intense heat; it’s difficult to sleep at night when it’s so hot, let alone get through your day when the sun is beating down on the city. Make this your summer to feel refreshed and relaxed. With air conditioners in the Dallas area you’ll feel soothed during even the hottest nights, allowing you to sleep well and be productive during the day. You’re certain to appreciate having air conditioner installation Garland wherever you decide to place your unit, and we’d be delighted to assist you in that regard. We can walk you through the entire process of air conditioner installation in Garland and the surrounding cities, offering assistance with picking a new unit and arranging to have it fitted, or having an existing unit repaired or upgraded. Whatever your price point and needs, our experienced and trained technicians will be there every step of the way, offering you peace of mind as well as great service. We also offer provide detailed estimates. Whether you’re considering air conditioner installation Garland or air conditioning repair Garland, we’re just a phone call away and can let you know what to expect regarding work and cost, allowing you to make an informed decision. Some people dismiss the prospect of having air conditioner installation Garland because they assume it will be too complicated or too expensive, but that doesn’t have to be the case. We offer different air conditioning options for a wide range of budgets and homes. You’ll be surprised at how affordable it can be for air conditioner installation Garland or upgrading an existing unit this summer – not only is the chilly air refreshing, our reasonable prices and friendly service are too! We also offer repairs for existing air conditioning units. Even if you didn’t have air conditioner installation Garland completed through us, don’t hesitate to call. You need service professionals you can rely on to be straightforward about the cost and do any repair work correctly. We are honored with your business and will do our best to look after all your air conditioner installation DFW and air conditioning repair DFW needs. Don’t forget to get in touch with us when the cold weather returns, too. We’re not just about air conditioner installation DFW! We are prepared to assist with all your climate control needs and would be happy to hear from you when the air turns chilly outside once again. Whatever questions you have or service you need regarding HVAC Garland, Texas, we’re able to help. Perhaps your heating unit doesn’t seem to be working properly after being turned off all summer? It may require some basic service work or repairs, and eventually require replacement. Our qualified team members will assist you through the entire process, from providing you with an estimate to installing a new heater to servicing and repairing your existing unit. You can count on us to give your heating requirements the same detailed attention as provide for your air conditioner. Having an HVAC unit serviced or installed isn’t just about having it function correctly without costing you an exorbitant amount of money. You need to know any work you’re having done has been completed correctly as well. Don’t trust the heating, ventilating or air conditioning unit in your home or office to just anyone. By picking us, you can rest assured you’re making the right choice, selecting a team that pays attention to details and believes in doing a job properly. Our expert HVAC Dallas / Fort Worth professionals have a wealth of experience working with a plethora of different heating, ventilating and air conditioning units. Regardless of the style and brand of air conditioner or heater unit you have in your home, we are prepared to assist you. Different ages and sizes of homes come with unique HVAC unit requirements and there are options available for all budgets and spaces. Our staff is qualified to work on central air, window, sleeve and portable air conditioning units. Similarly, they can also help with boilers, furnaces, heat pumps and other heating units. Our company has developed a reputation in the DFW metroplex for providing good, old-fashioned customer service at prices that can’t be beat. We pride ourselves on being knowledgeable about our profession and offering service with a smile. Each of our team members is fully qualified and experienced to tackle the tasks put in front of him or her and use only well-manufactured products and parts for our valued customers. Whether you’re sweltering during the scorching summer or freezing during a chilly winter, it’s not good. We want you to be able to rely on your HVAC unit when the weather changes, regardless of whether you’re cranking up the air conditioning or the heat. If you’ve come in after a busy day to find your home freezing cold or hot and stuffy, not much else matters until the problem is resolved. Our prompt, professional team members are just a phone call away! Make the best choice for HVAC Garland. Whatever your situation is, we have climate control solutions for you and would be pleased to earn your business and your trust. The perfectly cooled or heated home can be yours, so don’t put it off any longer. Call us today for a free estimate and ideas on how we can address your heating and cooling needs.